Whoever coined the phrase “sleep like a baby” probably didn’t have one. Baby sleep is one of the most challenging areas for parents, especially new ones. 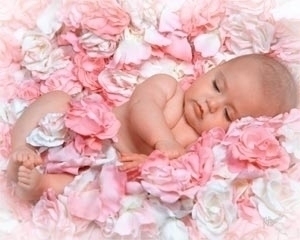 Very few fortunate parents are able to say that their babies sleep through the night. Here are some tips that will help prevent sleep problems. Know what to expect - If you are expecting your first child, you should know that you will suffer some sleep deprivation in your baby’s first three months as your baby is likely to wake up for feeding every two-three hours. This frequency will decrease as your baby gets older. Stick to routines – Babies who have consistent bedtimes and sleep routines sleep better and for longer. Babies with unpredictable sleep routines are more likely to have disturbed sleep. A warm bath, followed by a lullaby or bedtime story forms part of the bedtime routine. Be comfortable with your choice – Whether your baby sleeps in a cot or co-sleeps with you and your partner is a personal choice. Some mothers prefer baby to sleep with them to facilitate breastfeeding whereas others feel that baby will be safer in her own cot. If you or your partner smokes, do not co-sleep as this increases the risk of SIDS. Ensure that baby is safe - Baby should sleep on her back, never on her tummy, to reduce the risk of cot death (SIDS). Experts say that the safest way for baby to sleep is on a clean, firm, flat mattress with only a fitted sheet on it. There should be no stuffed animals, pillows, bumpers or anything else in the cot. If baby sleeps in her own room, use a baby monitor to keep an eye on her. Ensure that baby is comfortable – Baby shouldn’t be too hot or too cold. She should be fed and wearing a clean nappy. The room should be darkened. Smaller babies are more comfortable when swaddled. If your baby has a stuffy nose, use a humidifier. Don’t look for quick fixes –Many methods that promise magic formulas to get babies to sleep are variations of the controlled crying method. This may have adverse psychological consequences on your child later in life. Beware of crutches –Some babies need to be rocked or breastfed in order to sleep. Others may need a pacifier in their mouths. However if baby wakes up during the night, she will expect the same crutch –and you to provide it. Experts advocate putting baby in her cot before she's asleep so that she learns how to soothe herself and sleep on her own. Remember, establishing good sleep habits from the beginning may be difficult initially but will be beneficial in the long run.